I intended to write a pub review today. I really did. However, this day has not gone according to plan. Actually, this whole week hasn’t been much fun. Thank goodness it’s Friday. When I sat down to write the pub review a thought struck me. Instead of writing a review, why not go to a pub. So folks, that’s my plan. Now I need to decide. Is it a beer or cider night? 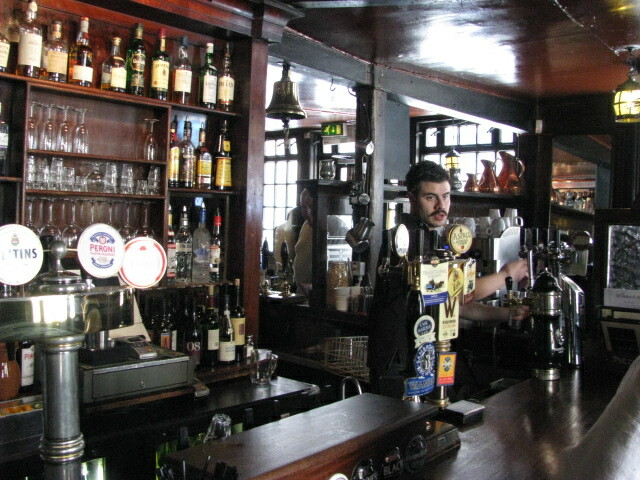 Photos taken on a trip to Windsor Castle Pub in 2012. Not sure what pub or pubs I’ll wander into tonight. Have a great weekend! This entry was posted in Life and tagged Beer, Cider, Life, Photos, Pubs, TGIF. Bookmark the permalink. have a Lager for me! I think you found the perfect solution–wish I could join you! I wish you could as well. Maybe someday! And i’ll bring some chocolate. Much, much, much better. Now I’m ready to face a new week. Hope things are well on your end. Thanks Jo! I’m excited for the big day. Love the fact that you decided to have both beer and cider 🙂 Have a wonderful time, TBM! Happy Friday evening! Happy weekend! Thanks, Vishy. Hope you had a great weekend as well. You should now have imbibed at least one beverage TBM … Cheers and have a great Weekend ! Sounds like you need a good night out – enjoy! Have a good evening. It sounds like you need it. it was such a nice night and very relaxing. Hope you had a wonderful weekend. Just don’t wander into the Thames on the way home :). No worries. I don’t live close to the river at all. I didn’t over do it. The two blokes at the table next to us did. One asked me where he was and I said the pub’s name. he meant what city was he in. His buddy took him home after that. I hope they got their safely. We did. Hope you had a wonderful one as well. Brings back fond memories of my time in Arundel. I had to look up Arundel. According to Wikipedia it’s in the south of England, if I looked up the right place. 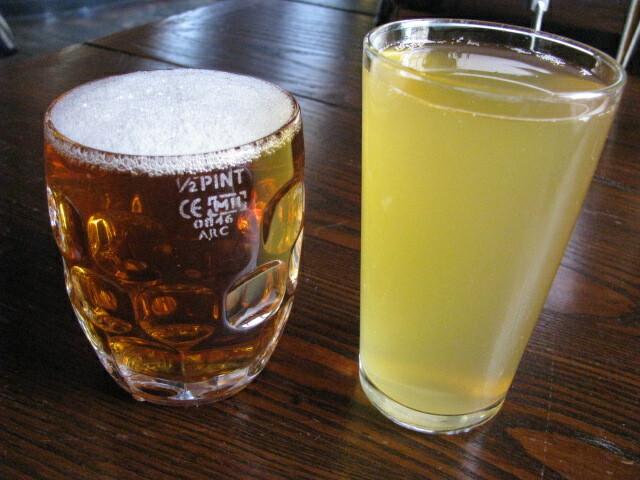 Those two drinks together would make what’s known as a ‘Snakebite’ which I understand some pubs refuse to serve! I hope you had a good evening! I’ve had a snakebite in the States, but haven’t ordered one in a pub. Interesting that some refuse to serve it. I wonder why. I did an internet search and discovered a couple of different reasons. Firstly, landlords don’t like to serve younger customers because of its intoxicating qualities 😉 Secondly, apparently it can be illegal due to the measures involved. There are rules which state how much of each drink can be poured into a glass. It seems quite complicated! Goodness, am I breaking the law in my own home 😉 Thanks so much for looking into it. You’re the best! Sorry you had a lousy week and hope this one’s a LOT better. I hope so too! And I wish you a great week! Ha ha … a smoother Lager is fine at this end. Yes … is it Friday yet? If you are looking for a reason for a pub trip, YES! Going to a pub sounds like the better option! Yes! It was much needed as well.